The ketogenic diet has made a strong presence in pop culture and is now becoming more sought out for individuals seeking weight loss, mental clarity, reduced inflammation, eliminate cravings and more. When starting a ketogenic diet it is essential to first focus on carb restriction to gain the benefits of ketone production. Then focus goes on to finding your fat “sweet spot,” enough to promote satiety and prevent slowing down your metabolism, but not so much that your body is gaining weight due to excess calorie intake or that you are not able to tap into your own body’s stores. 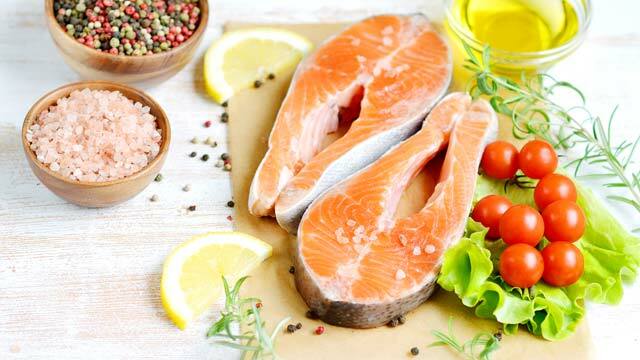 Although the ketogenic diet is muscle sparing, protein plays a role in supporting immune health, mood, memory, and preventing hair loss or fatigue over time. Achieving macronutrient balance is something that may evolve with your body’s demands, such as increased exercise, hormone changes, microbiome changes, stress and lifestyle shifts. There are complex mechanisms and feedback signals such as cortisol, leptin, insulin, lipopolysaccharide, rT3, etc., that respond to the body’s current state and nutrient needs. For example, when dealing with insomnia, leptin levels are going to get depleted, so consider intermittent fasting in an overweight individual to increase leptin expression from stores. On the other hand, consider carb cycling in an ideal weight or underweight individual as leptin stores would likely be low already and leptin is insulinogenic. Another example is that in dysbiosis (gut bacteria/yeast imbalance), an individual may not tolerate the non-digestible fibers of prebiotic vegetables and may get bloating or GI distress when eating asparagus, artichokes, onions, garlic, and even greens. The person in dysbiosis would likely do better with a higher animal protein and fat focus with very tight carb restriction such as a keto carnivore approach. This all of course gets very complicated when an individual is dealing with various imbalances in their body and the complexity of macros can be contradictory per body’s needs. For this reason, when working with a client in my functional medicine clinic, once we establish nutritional ketosis, I transition primary focus on micronutrient support and reducing toxic or inflammatory burden in the body. These 3 concepts can be applied to chicken, to a vegetable, to a keto dessert. You cannot imagine a chicken breast growing as much as you can if it is bone-in and skin-on. Also, when eating in a more whole food form you get more glycine, proline, and glutamine — amino acids that support hair, skin, nail, and gut health, as well as reduced inflammation and anxiety. Now on the adulteration part, a chicken that is harvested from a pasture with access to grubs and grasses without exposure to confined farming will have significantly more omega-3 fatty acids, minerals, and vitamins as well as less risk for hormone and microbiome (1, 2, 3). When examining produce or an ingredient to decide whether to include it in your diet, look beyond the carb count — opt for foods that are low in carbs and at the same time high in micronutrients. 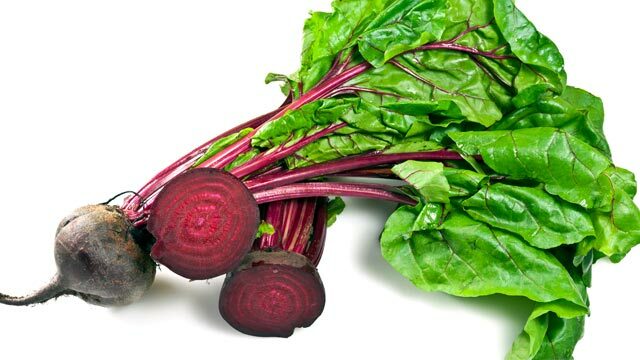 As an example, eating a whole beet including the root and greens provides vital nutrients by simply sautéing its greens in ghee and seasoning to taste. It&apos;s still relatively low in carbs, high in fiber along with your daily need of vitamin A as well as potent punch of folate, magnesium, iron, and calcium (4). If looking to make your whole food keto diet sustainable and provide a sweet flavor with non-processed real food ingredients, depending on your metabolic flexibility you may tolerate a whole roasted beet as well. A 3-oz (85 g) serving would provide 8 grams of total carbs with 2.5 grams of fiber (5.5 grams of net carbs). This means an entire beet including the greens and the root would be 7 grams or so of net carbs — likely well within a balanced keto-friendly meal that also contains fat and protein. In addition, it provides vitamins, minerals, and unique antioxidants such as lutein for vision and neurological health, and supports nitric oxide expression to aid in blood pressure regulation and vasodilation (5, 6). Applying my third concept of real foods, an organic or locally grown beet will have less residual sugars and more nutrient density as well as less pesticide residue (7). Let’s compare in contrast a whole beet — which may be considered a “no” in the ketogenic diet as it is a root vegetable — to caramel coloring, a corn-derived food coloring found in many keto-friendly powders, shakes, and snack foods. Although derived from a plant, you cannot identifying it growing as you could the beetroot and a lot has been done to it since harvest, including heat treatment of the starches in corn, with addition of acids and chemicals to create caramelization. In this process, advanced glycation end products (AGEs) are also created, which can contribute (along with other mechanisms of the colorant) to elevated blood pressure and disrupted gut bacteria, and has been listed as a concerning ingredient for cancer risk by the Center for Science in the Public Interest (CSPI) (8, 9). All this drama with zero nutritional benefit may have you second guess which foods are ok for your ketogenic diet and which ones are not. Finally, examine a daily staple ingredient as simple as salt! Iodized salt is chemically manufactured and often includes aluminum, fluoride, and other anti-caking ingredients. Real salt is found in a rock, crystal formation cleaved from a salt cave, or extracted from the sea and is simply filtered. 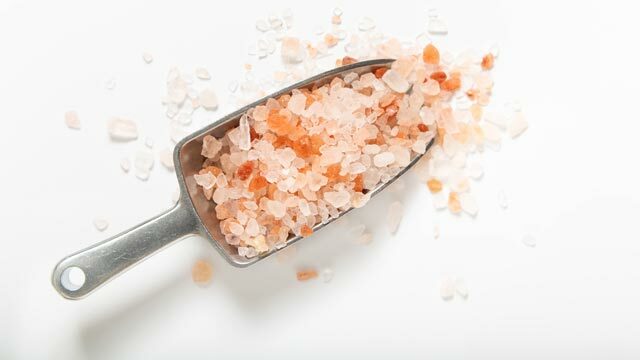 These unrefined salts contain blood-pressure-balancing potassium and 60 other trace minerals. You can definitely imagine salt rock growing prior to it being ground, and a lot less has been done to it since harvest, which ensures that there will be nutrients that can support metabolic function as opposed to processed chemicals that may wreck havoc. When applying this real food approach, start simple and focus on single ingredient foods that you can put together in your kitchen to make recipes or even throw together snacks like olives and almonds or a can of wild-caught salmon (bone in, skin on is best!) smashed with lemon and avocado. Start with your pantry and begin to ask. “Is this a whole food?” to ensure that you choose foods that nourish your body and support optimal function. Now that you are metabolically adapted to burn fat as fuel, you may be able to incorporate more vegetables and even moderate amounts of starchy vegetables and fruit to provide diet diversity, natural flavor flexibility, and provide unique antioxidants and compounds to promote balance in your body. As an example pureeing steamed beetroot into a coconut butter or coconut oil based fat bomb may be a natural nourishing way to add color and natural sweetness to a keto-friendly treat. When using real foods you may explore categories of ingredients that were once off limits but — when combined with healthy fats and consumed in moderate amounts — support your body’s immune, gut, and metabolic function. Food quality matters just as much as (if not more than!) carb count. 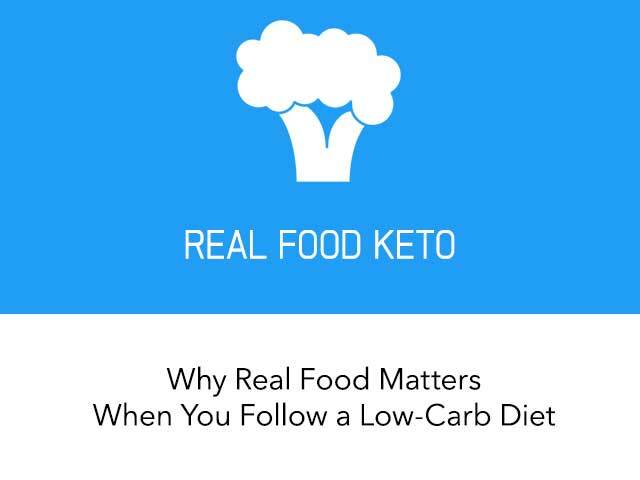 Shift your focus from a quantitative approach to a qualitative approach, and before asking yourself “is this keto?” ask yourself, “is this a real food?”. Ali Miller is an integrative functional medicine practitioner with a background in naturopathic medicine. 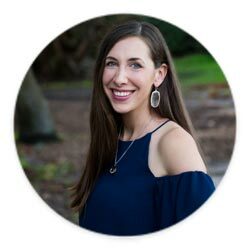 She is a Registered and Licensed Dietitian, Certified Diabetes Educator, with a contagious passion for food-as-medicine developing clinical protocols and virtual programs using nutrients and food as the foundation of treatment. This article was written by Ali Miller, RD, LD, CDE who is a qualified expert. 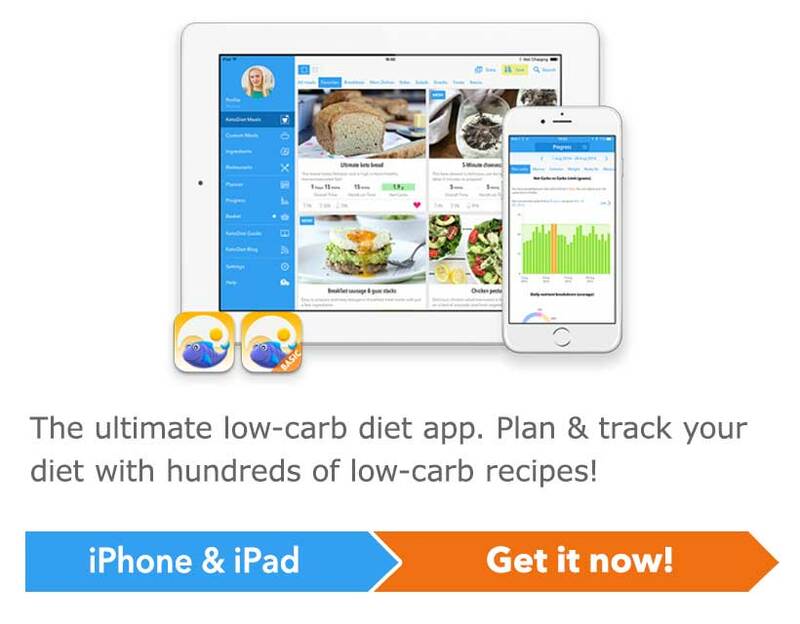 At KetoDiet we work with a team of health professionals to ensure accurate and up-to-date information. You can find out more on the About us page. Caffeine on a Ketogenic Diet: Friend or Foe? Total Carbs or Net Carbs: What Really Counts? Dairy on a Ketogenic Diet: Eat or Avoid? 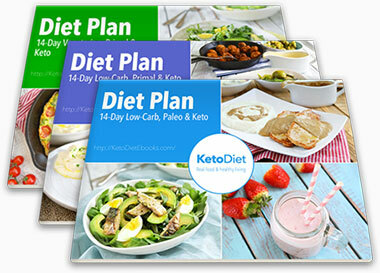 How Many Carbs per Day on a Low-Carb Ketogenic Diet?